Today we are going to talk about something I avoided learning for many years in Christian studies: Patience. Let’s start with a look at the definition of the word patience. If you type it into Google, you’ll get this as a result: The ability to accept or tolerate delays, problems, or suffering without becoming annoyed or anxious. Whenever I heard about patience in church it was always preached that Christians would suffer and have to wait and fight for their blessings. I spent almost 25 years avoiding Christian patience. It wasn’t until I recently sat down and decided to learn about it for myself that I realized I’d been misunderstanding all along. Patience isn’t idleness—its not sitting there quietly while you suffer nonstop. Patience is a verb, it’s about what you do while you wait. When I was younger, the story of Joseph who was sold into slavery by his own brothers was always a reference of patience as he went from the pit to the palace. The patience of Job is something we’ve all heard of—how he suffered terrible loss and illness but waited patiently on the Lord. 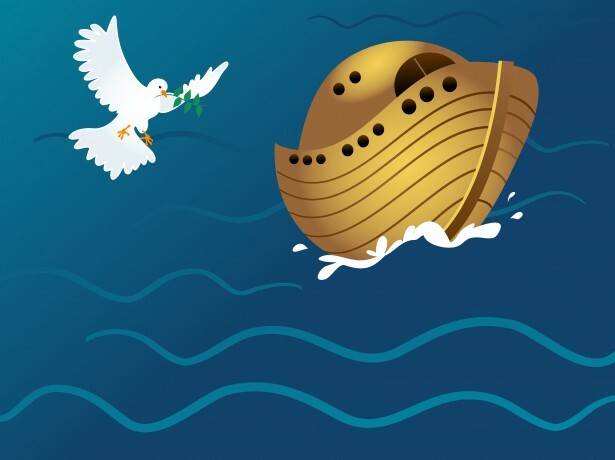 Even Noah who took 100+ years to build the ark demonstrated a patience unknown to man. Patience was never attractive to me—not like faith was; through faith Jesus fed the multitude, healed the sick, and walked on water. But with patience Joseph was betrayed, Job was struck with illness, and Noah spent a century on the world’s greatest arts-and-crafts project. Why would anyone ever want to have patience? Once you find out the biblical meaning of patience, you’ll understand exactly why. Let’s insert the Google definition of patience into that scripture and see what it becomes. Many people will see that scripture (in its original KJV text) and teach that we are to be patient in tribulation, just as the Word says, but you must dig deeper than that. Yes, we should be patient in our time of struggle, but if you take the biblical definition of patience into account you will realize there is more to patience than simply tolerating problems without complaint. The Bible was first written in Hebrew and Greek so it’s very important to study it in those languages. Through translation of language and with different versions of the Bible available (KJV, NIV, AMP, etc), the true meaning of the Word is sometimes lost or diluted. This is exactly what happens in many teachings on patience. The word patience comes from the Greek word, Hypomone, which means to remain under or to abide under, but if you look more closely into the meaning of the original Greek language, you’ll see the word Hypomone originally means to bear up courageously under suffering. What does it mean to bear up? This expression means to cheerfully endure. Now, let’s plug the original Greek definition of patience into the scripture Romans 12:12 KJV. Doesn’t that mean something much different from the first two versions of this verse? Doesn’t it seem more encouraging and powerful? Not only are we to be patient in suffering but we’re also to be steadfast—what does that mean? Typing steadfast into Google will give you this definition: firm and unwavering. If we only go by Google terminology, we are supposed to be firm and unwavering as we tolerate our problems without complaint. That doesn’t sound right, does it? Why would God tell us to sit there and be quiet while we suffer but also tell us to cast our cares upon Him (I Peter 5:7 KJV)? If we give all our problems and suffering to God, aren’t we doing the opposite of Romans 12:12? Look at the Greek word for steadfast: Hedraios, which means, immovable—especially in our mindset. When you plug in the Greek definitions of patient and steadfast, the Word of God becomes very clear. This scripture has so much more meaning to it when you dig deeper, but what exactly does it mean? What are we immovable in? What does it take to bear up courageously?—or cheerfully endure? We are supposed to be patient in our trials and tribulations, but I always believed patience and faith were something like opposites. Patience waited quietly without complaint while Faith fearlessly casted darkness away and boldly spoke things into existence right now. What I didn’t realize was that patience and faith actually go hand in hand. Through faith Jesus fed the multitude, but He also exhibited patience. It was because He was patient and calm, instead of panicking and asking questions like the disciples, that Jesus had the immoveable faith to believe in the provision of God. Through faith Jesus healed the sick, but He also exhibited patience by cheerfully enduring the constant ridicule of the Pharisees around Him. Joseph was betrayed and patiently waited for God to carry him from the pit to the palace, but it was his immoveable faith that gave him the strength to cheerfully endure the darkness of his prison cell. Job was struck with illness and loss and resolved to patiently waited for his healing but while he waited, his faith remained immoveable and he was able to bear up courageously under his sufferings, even when his own friends and wife tried to discourage him. When you look at the Bible in Hebrew and Greek, you can understand the true message that’s written plainly for you. We are not supposed to just sit quietly and accept problems without complaint. When faced with struggle or delay, Believers are supposed to be immoveable in their faith and cheerfully endure whatever struggle we face because we know God remains on the throne. That means when we are believing for a healing, we are supposed to be immoveable—we have made up our mind to accept healing from Christ our Savior no matter how much time has passed or what the doctor’s report says—and we bear up courageously—we cheerfully endure our sufferings because we understand that in faith our healing is already here. Weeping endures for a night, but joy comes in the morning, Psalm 30:5. Take the time to get to know Christ more intimately. Dive headfirst into His word. Have patience and grow in your faith. This post was not a knock against other versions of the Bible. The NIV and Amplified Bible (and others), are great editions of the Word. They help with studying and learning, but it is vitally important to be aware of the original Hebrew and Greek text when studying the Word. You will understand scriptures in a more powerful and intimate way than before and you will find yourself growing in the Word each and every day and in each and every way.